I've had a dual wide area network (WAN) router for a long time at home. 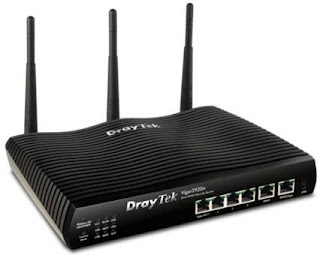 The Draytek 2920n router that I use is now an old model replaced by the 2925 series but still being supported with updated firmware from time to time. The idea of having a dual WAN router is because my Internet connection at home is so poor I could improve reliability and gain a bit of bandwidth for multi users by using two Internet connections from different providers at the same time. When I first tried it, I found that the load balancing feature did not work very well with my Sky Internet router. The performance was about half the bandwidth that I got with load balancing disabled. The result of some research I did was that for load balancing a bridged Internet connection worked better than a routed one. This was not just for Draytek but for all the multi-WAN routers in my price range. Unfortunately, Sky remove the bridge option from their routers. Due to on-going Sky performance problems I recently decided to change ISP. PlusNet had been very good for my Mum for years and they allowed me to select my own connection equipment. Their setup was painless and I selected to use an ADSL modem instead of a router. 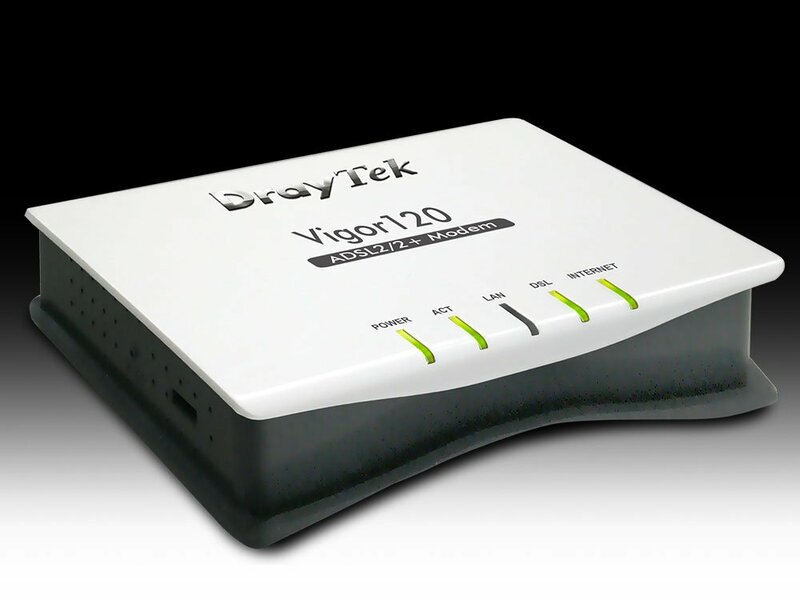 The Draytek Vigor 120 was one of the very few choices. Exactly what I wanted and worked plug and play. All I needed to do was add the settings in my 2920 router to use PPPoE to authenticate via the Vigor 120. The Vigor then uses those credentials with PPPoA to authenticate over the ADSL line to PlusNet. I was a little disappointed because from time to time the ADSL Internet connection would drop and required the Vigor 120 to be manually restarted to get things working. After some investigation it appeared to be the Internal link that went down between the Vigor 120 bridge and the WAN port on router. The ADSL line was still up according to the link lights and incoming traffic would trigger a working connection. I firmware updated the Vigor 120 but that did not fix it. I am fairly certain the problem was solved after I forced the network port on the Draytek router WAN port to be fixed at 100 full duplex instead of auto negotiate. A common network conflict with auto-detecting port speeds. The bridge connection has been working reliably for 4 days now, so I am confident enough to say it's fixed. As a side note. The Broadcom chipset is often recommeded over the Vigor's Infineon chipset. I could not find an ADSL modem with a Broadcom chipset but a low cost way would be to get a second hand router with a Broadcom chipset and use that in bridge mode. That was trickier to find than I first thought so one option would be to get an old Sky Sagem 2504N router from ebay, unlock it with the non-Sky firmware that is available and enable the bridge feature! I've not tried that yet.